Call Us For Water Garden Supplies & Maintenance! If you want to beautify your back yard with a relaxing oasis, call Creative Water Gardens. We maintain and service your water gardens that will transform your yard into a tropical paradise. We provide supplies and equipment like water lilies, Koi fish, pumps, filters, pond liners, waterfalls and much more. Creative Water Gardens carries a full line of water garden supplies that are guaranteed to help your water garden stay healthy and attractive. We offer full-service maintenance that is designed to keep your water garden looking lush and beautiful all year long. Give us a call today at (972) 905-6767 to discuss your ideas. 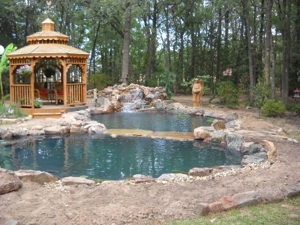 We are the largest water garden center in North Texas, so we are sure we have what you need! Call us today at (972) 905-6767 to keep your water garden looking beautiful. Se Habla Español. Call Us Today For Water Garden Features! Copyright © 2018 creativewatergardentx.com All rights reserved.